Are you concerned that your loved one has been abused or neglected in a Cairo nursing home? Unfortunately, it not an isolated situation and does occur with some frequency. Our website offers you information and details that you need in order to know what to do about it. We hope our website provides you with answers to your questions and know that we are here to answer any other questions or concerns that you may have. Nursing home abuse and neglect are terms that are often used interchangeably. There are some differences between the two. Abuse indicates that a person acted intentionally to harm another. For example, an incident where someone hit your loved one would be considered abuse. Neglect is unintentional harm that is caused by negligence on the part of another. May acts are considered neglectful. An example of neglect is when a caregiver fails to help a resident with his daily hygiene tasks. Both abuse and neglect cause harm to a nursing home resident and are not to be tolerated. Why sue a nursing facility? A nursing home has the requirement of properly caring for residents. When a resident is abused or neglected you want to seek justice for your loved one. You may be entitled to compensation for the associated medical bills and other costs that were incurred due to the nursing home’s negligence. In addition, it is important to make sure that the nursing home is held responsible for the problem so they can make corrections and changes to improve the care they provide. By filing a lawsuit you will help bring the problems of the nursing home to light so that others can make sure that their loved ones remain safe and free from harm. How long will it take for the case to resolve? Nursing home cases can be complex and therefore they may require some time to resolve. Sometimes, the nursing home will agree to settle the case before it goes to court. This can be beneficial because the case will usually take less time in this instance. However, it is important to note that many times a case cannot be settled before going to court because the nursing home will not agree to a fair settlement. If that occurs, the case will go to court where a judge or jury can make the final determination after a full review of all of the evidence. Your attorney will review your case with you to help decide the best options in your particular situation. It may be best to have the case go to court where you are more likely to receive the compensation you deserve. We are Schenk Smith, your Cairo nursing home lawyers. If you suspect that your loved one is the victim of abuse or neglect in a nursing home we are here to help. 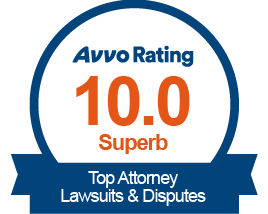 Our lawyers are passionate about providing you with the resources and assistance you need. We handle only nursing home abuse cases so we understand the many issues that may impact your loved one. We offer many online videos and blogs that will answer your questions and give you information. Nursing Home Abuse & Neglect in Cairo, Georgia- What you need to know. Cairo, Georgia is located in Grady County and has a population of 9,708 residents. Of those, 16.30% are aged 65 and older. Nursing home abuse can happen anywhere, even in nursing homes in Cairo. Will the nursing home retaliate if I report neglect? Nursing homes are required to provide proper care to all residents. The nursing home must abide by the law and cannot retaliate against anyone for making a report. However, there are some steps you can take to ensure that you keep your loved one safe. Check on your loved one – Visiting your loved one more often can help make sure that they are being treated properly. Try to visit at various times of the day or evening so that your visit is not expected. This will give you a better feel for the type of care that occurs when you are not present. Provide details of care for the nursing home – Consider giving the nursing home a list of the important care concerns that you have regarding your loved one. For example, let management know that your loved one needs help to go to the bathroom. Make sure that the nursing home has instructions to contact you in case a problem occurs. Move your loved one to another facility – You and your loved one may feel better if you moved your loved one to a different nursing home. This will ensure that your loved one gets the proper level of care, especially if he or she is already recovering from an injury due to abuse or neglect. What is septic shock and how is it caused? Septic shock is a type of infection that travels through the bloodstream. It is very dangerous and often life-threatening. There are several stages to this potentially life-threatening medical condition. When treated early a person has a better chance of a full recovery. Sepsis – Sepsis is the first stage of this medical condition. It is characterized by an increase in body temperature, a heart rate of more than 90 beats per minute and a respiratory rate of more than 20 breaths per minute. In order to be diagnosed with sepsis you must have at least two of these symptoms. Severe Sepsis – When sepsis is severe you may begin to suffer organ failure. You will have a decreased urine output and a decrease in your platelet count. You may have difficulty breathing and could suffer stomach pain. Your heart may function abnormally. Septic Shock – Septic shock is the most severe condition and is considered a medical emergency. It occurs when you have the symptoms of severe sepsis along with severely low blood pressure and your body does not respond to fluid replacement. Sepsis is the result of a serious infection. Some of the most common infections that lead to sepsis include pneumonia, kidney infection, abdominal infection and an infection of the bloodstream. These are more likely to occur in the elderly. Has the nursing home been fined or penalized before? Many nursing homes have been fined or penalized for improper care, abuse or other infractions. Nursing homes often try to downplay these previous problems so you may not always know about them. You may ask the nursing home for this information and they are required to provide it to you. However, there is another way to find out previous penalties and problems. The fastest and most efficient way to find out information about a nursing home is by accessing the United States Centers for Medicare and Medicaid Services (CMS). This website offers a compare tool that allows you to check information on any nursing home in the country. They compile information on all Georgia nursing homes so you can easily check to see information. The data will show you the date of the latest inspection and how many citations the facility received in the last 3 years. It will also indicate the number of complaints that resulted in fines as well as the number of fines and the amount of those fines. When you view this information you will also want to review the overall rating of the nursing facility. This will give you a better understanding of the typical care that residents receive. Ratings are based on averages so you can compare nursing homes against each other in various categories. My loved one was hurt in a Cairo nursing home- What do I do next? If your loved one was severely injured or passed away at a Cairo, Georgia nursing home, then we recommend that you act as soon as possible to protect your loved one’s rights. There is another option that you should be aware of. You can file a complaint with the Georgia Office of the State Long-Term Care Ombudsman. The ombudsman program operates throughout the state and offers you the ability to file a complaint about nursing home abuse or neglect. The ombudsman has the legal authority to enter nursing homes to discuss complaints. If your loved one suffered assault or abuse you may need to make a police report. If the actions were unlawful the District Attorney’s Office: South Georgia Judicial District may file charges against the responsible party. For abuse occurring in a Cairo, Georgia nursing home, report the crime to the City of Cairo Police Department or to the Grady County Sheriff’s Office. If you or your loved one is uncomfortable with the care at the nursing home you may choose to find another nursing home. This may be the best option when your loved one was abused or feels threatened. You will want to check out another nursing home first to make sure that your loved one will receive better care. You should visit the facility and look around to get a general idea of the quality that they offer. Certainly a walkthrough is a good idea but it alone may not be enough to put your mind at ease. The United States Centers for Medicare and Medicaid Services (CMS) provides an online nursing home compare tool on their website. This provides you with data such as ratings of care, nurse to resident ratio and the date of the last inspection as well as other information. For your convenience, a list of all nursing homes located near Cairo, Georgia is located below, along with their contact information and inspection scores. Your loved one’s medical records are an important part of your nursing home abuse case. You will need to have these records available in order to prove that the injury occurred at the nursing home. All too often, the nursing home will try to dispute the abuse by saying that the injury occurred elsewhere or that they were injured before they entered the facility. You will need the medical records in order to show that the abuse occurred at their location and that the injury was due to negligence. You will need to request medical records from every doctor or facility that provided treatment to your loved one. This will include the primary care physician, emergency room, hospital, nursing home and anywhere your loved one received treatment. Federal and state privacy laws are in place to protect your medical information. You cannot simply request medical records for someone else, even if you are related to that person. In order to request medical information for another person you must first obtain legal authority to do so. This can be done by obtaining a durable power of attorney, healthcare directive or guardianship. A person has the ability to file a lawsuit on their own behalf if they were wronged by another. You retain this ability even after you pass away. Another person can file a lawsuit on your behalf if they have proper authority to do so. The estate of a deceased person has the right to act on the person’s behalf, including the ability to file a lawsuit if necessary. The estate is controlled by an administrator or executor. This person is appointed at the time the estate is created and has the power to make decisions on behalf of the deceased person. An estate should be created as soon after a person passes away as possible. A spouse of other relative of the deceased person can create an estate by petitioning the Probate Court in the county where the person passed away. Click here for the Probate Court for Grady County. If you are searching for a nursing home for your loved one you know that no two are alike. There are some important differences in the quality of care that is provided. You can view this list of nursing homes near Cairo to compare their details. This list is provided on the CMS Nursing Home Compare website. Knowledge: We have the knowledge to handle all types of abuse and neglect cases. In fact, that’s all we do. We focus only on nursing home neglect and abuse lawsuits. 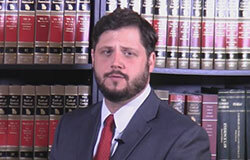 Our firm doesn’t take any other types of cases so we understand nursing home cases better. Results: Our law firm has proven results. In the last two years we have had millions of dollars in verdicts and settlements in nursing home cases in Georgia. 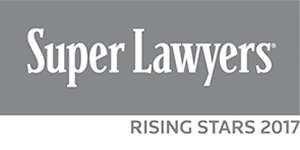 Our attorneys have been selected as Georgia Super Lawyers Rising Stars. Passion: Our attorneys have a passion for nursing home abuse and neglect victims. Our clients consistently rank our law firm as the best Google-reviewed firm in Georgia that focuses on nursing home cases. We receive good client feedback and many of our clients say they were treated like family. If your loved one was injured or died in a Cairo, Georgia nursing home, please call us at Schenk Smith (678) 823-7678 for a free consultation. You can also check out hundreds of video FAQs on our website.